On February 4, 1986, Schenectady investigators brought Marybeth in for questioning. For the first several hours she denied having anything to do with her children’s deaths. Then she admitted, "I did not do anything to Jennifer, Joseph, Barbara, Michael, Mary Frances, Jonathan. Just these three, Timothy, Nathan and Tami. I smothered them each with a pillow because I'm not a good mother. I'm not a good mother because of the other children." After admitting that, she was asked to go through each of the children's murders and explain what happened. A 36-page statement was prepared and at the bottom Marybeth wrote a brief statement about which of the three children she killed and denied doing anything to her other children. She signed and dated the confession. She said she killed Tami Lynne because she would not stop crying. She was arrested and charged with the second-degree murder of Tami Lynne. The investigators could not find enough evidence to charge her with murdering the other children. 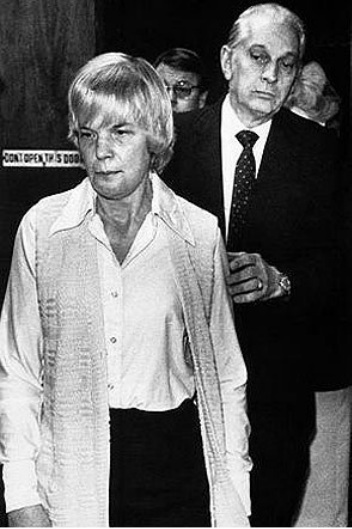 The murder trial of Marybeth Tinning began in Schenectady County Court on June, 22, 1987. Most of the trial centered on Tami Lynne's death. She was found guilty of second- degree murder of Tami Lynne Tinning. During sentencing Marybeth read a statement in which she said she was not the one who caused the death of Tami Lynne. She also said she would never stop trying to prove her innocence. She stated,"The Lord above and I know I am innocent. One day the whole world will know that I am innocent and maybe then I can have my life back once again or what is left of it." She was sentenced to 20 years to life and was sent to Bedford Hills Prison for Women in New York.